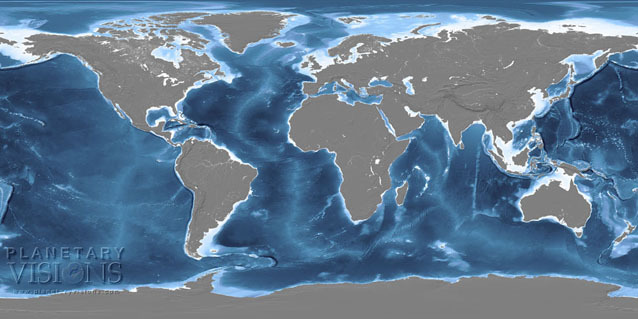 This map shows our global bathymetric data in the sea, coloured by depth and shaded. A monochrome layer is used on the land, hill-shaded at the same scale and height exageration. Source data: Generalised Bathymetric Chart of the Ocean (GEBCO), GTOPO30 terrain, global waterbodies mask. This image is available for licensing from our Image Library.